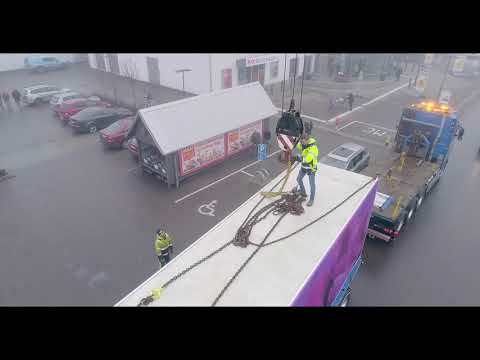 BOSTON, April 16, 2019 /PRNewswire/ -- Freight Farms is pleased to announce the launch of ICA Maxi Högskolan's own line of produce grown onsite for shoppers. Located in Halmstad Sweden, Freight Farms customer ICA Maxi Högskolan is one of ICA Gruppen's 1,300 grocery stores in the country. 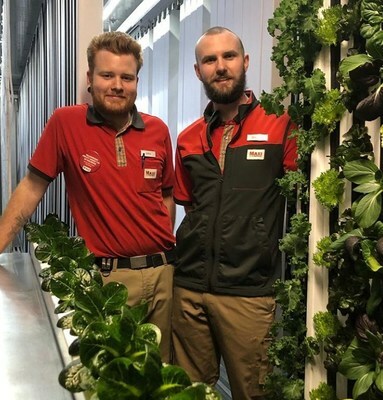 This month, the store began harvesting a range of hydroponically-grown greens for shoppers from Freight Farms' flagship container farm, the Leafy Green Machine.